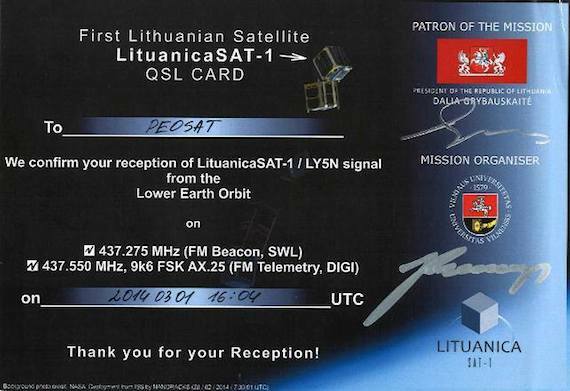 LituanicaSAT-1 is the first Lithuanian satellite mission. 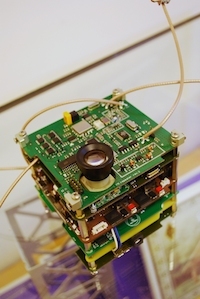 The primary mission objective is to provide university students and young engineers knowledge & real hands-on experience in satellite engineering thereby helping to develop infrastructure and know-how in space technology by interdisciplinary interaction between academia and industry in Lithuania. AX.25 Packet Radio: 437.550 MHz downlink; 9600 baud FSK, FM. Decayed. 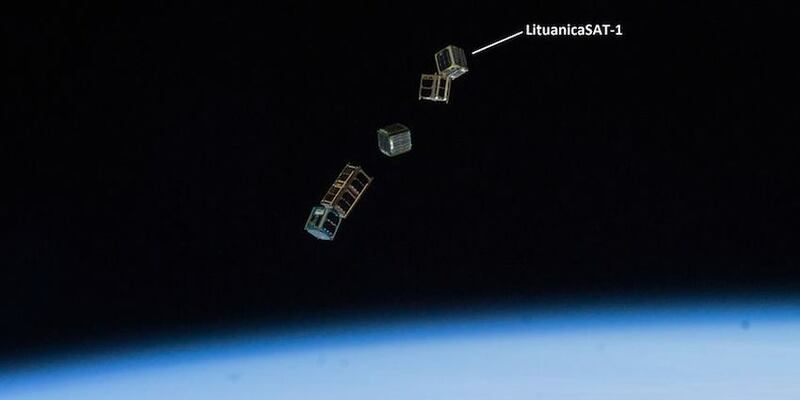 Launched 28-02-2014 07:30 UTC from ISS and active. The first time I could decode a 9600 baud AX25 packet. LHCP Maspro UHF – FUNcube Dongle Pro+ – UZ7HO SoundModem – AGW Online Kiss.